COLUMBUS, Ohio (WSYX/WTTE) - On the day after Halloween, Starbucks released their 2017 holiday cups. Starbucks said the cups align with the coffee company's "Give Good" campaign: giving to those near and dear to you, strangers in your community, or a gift that helps planet Earth. 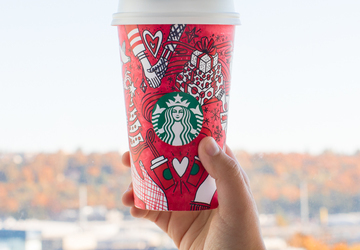 "This holiday season, Starbucks is spreading a little goodness -- one cup at a time." 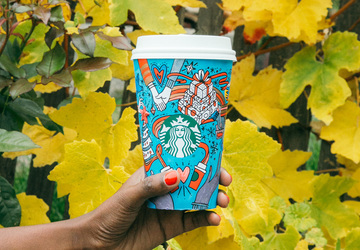 Starbucks said this year marks the first color-in holiday cup. 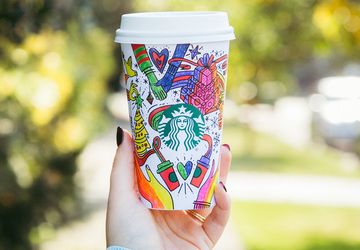 The design shows a pair of hands holding red cups of coffee, as seen in years past, connected with ribbons and depictions of holiday images including a Christmas tree. As part of the #GiveGood campaign, the coffee chain offered 17 suggestions for giving good this year.